Dr. Bick will be reviewing graduate student applications for the 2019-2020 academic year. Application deadline is Dec 1, 2018. Please see Student Admissions, Outcomes, and Other Data for details. 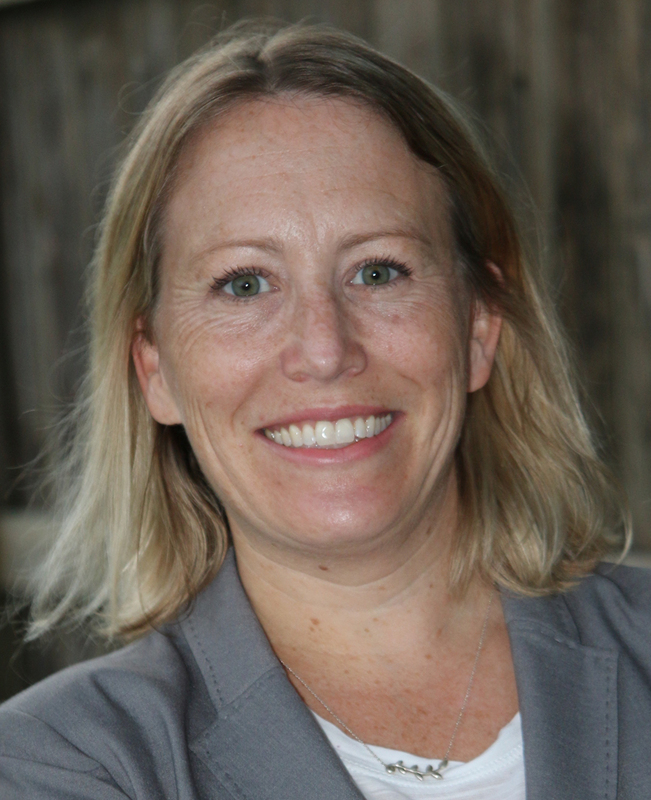 Dr. Johanna Bick is an Assistant Professor in the Psychology Department at the University of Houston. She received her Ph.D. in Clinical Psychology from the University of Delaware in 2011. She then completed research fellowships at the Yale Child Study Center and the Laboratories of Cognitive Neuroscience at Boston Children’s Hospital/Harvard Medical School, prior to coming to UH in the fall of 2016. Dr. Bick’s work takes an interdisciplinary approach, by incorporating methods and theories from child clinical psychology, developmental psychology, and developmental cognitive neuroscience, to understand how early adverse experiences shape child development. Her questions are guided by a large body of research suggesting that exposure to early life adversity (i.e. poverty, maltreatment, and extreme early life neglect) can lead to a wide range of developmental problems, with many involving long term cognitive delays and emotional difficulties. A primary focus of Dr. Bick’s research program is to understand how these early experiences shape development in ways that make children more prone to these problems. One way she addresses this question is by investigating how these experiences “get under the skin” and shape the development of neurobiological systems that underpin emotional development, stress regulation, and cognitive control. She integrates EEG, MRI, and biomarkers associated with stress physiology to address this question. Importantly, research also suggests that there is significant variability in the likelihood that children go on to develop problems following early adverse exposures. For example, some children may go on to show a myriad of difficulties, while others remain remarkably resilient. Dr. Bick tries to understand this variability, by “unpacking” these complex early exposures. Her work considers how the quality, timing, and severity of exposures are associated with patterns of risk or resiliency both neurobiological and behaviorally. Related to this, Dr. Bick examines parental responsiveness as a key protective factor for young children exposed to early life stress. Her work has shown that exposure to a nurturing, supportive caregiver early in life can help “normalize” neurobiology, and steer development away from risk and towards resiliency. Bick, J., Charles Zeanah, Nathan A. Fox, Charles A. Nelson (in press). Memory and Executive Functioning in 12-Year-Old Children with Histories of Institutional Rearing. Child Development. Bick, J., & Nelson, C.A. (2016). Early adverse experiences and the developing brain. Neuropsychopharmacology, doi: 10.1038/npp.2015.252. Bick, J., Fox, N.A., Zeanah, C.Z., & Nelson, C.A. (2015). Early deprivation, atypical brain development, and internalizing symptoms in late childhood. Neuroscience. Bick, J., Zhu, T., Stamoulis, C., Fox, N.A., Zeanah, C.H., & Nelson, C.A. (2015). A randomized clinical trial of foster care as an intervention for early institutionalization: Long term improvements in white matter microstructure. JAMA Pediatrics, 169, 211-219. Bick, J., Nguyen, V., Leng, L., Piecychna, M., Crowley, M., Bucala, R., Mayes, L., & Grigorenko, E. (2015). Associations between childhood neglect, MIF, and cortisol: Potential pathways to long-term disease risk. Developmental Psychobiology, 57, 131-139. Bernard, K., Dozier, M., Bick, J., & Gordon, M.K. (2014). Intervening to enhance cortisol regulation among children at risk for neglect: Results of a randomized clinical trial. Development and Psychopathology, 27, 829-841. Bick, J., Zajac, K., Ralston, M.E., & Smith, D. (2014). Convergence and divergence in reports of maternal support following childhood sexual abuse: Prevalence and associations with youth psychosocial adjustment. Child Abuse and Neglect, 38, 479-487. Bick, J., Dozier, M., Bernard, K., Grasso, D., & Simons, R. (2013). Foster Mother-Infant Bonding: Associations Between Foster Mothers’ Oxytocin Production, Electrophysiological Brain Activity, Feelings of Commitment, and Caregiving Quality. Child Development, 84, 826-840. Szyf, M., & Bick, J. (2013). DNA Methylation: A Mechanism for Embedding Early Life Experiences in the Genome. Child Development, 84, 49-57. Bick, J., & Dozier, M. (2012). Convergence between attachment classifications and natural reunion behavior among children and parents in a child-care setting. Attachment and Human Development, 14, 1-10. Bernard, K., Dozier, M., Bick, J., Lewis, E., Lindhiem, O., & Carlson, E. (2012). Enhancing attachment organization among maltreated children: Results of a randomized clinical trial. Child Development, 83, 623-636. Bick, J., Dozier, M., & Moore, S. (2012). Predictors of treatment use among foster mothers in an attachment-based intervention program. Attachment and Human Development, 14, 439-452. Bick, J., Naumova, O., Hunter, S., Barbot, B., Lee, M., Luthar., S., Raefski., A., & Grigorenko, E. (2012). Childhood Adversity and DNA Methylation of Genes involved in the HPA axis and Immune System: Whole Genome and Candidate Gene Associations. Development and Psychopathology, 24, 1417-1425. Dozier, M., Bick, J., & Bernard, K. (2011). Intervening with Foster Parents to Enhance Biobehavioral Outcomes Among Infants and Toddlers. Zero to Three Journal, 31, 17-22. Bick, J., & Dozier M. (2010). Mothers’ oxytocin production following close physical interactions with biological and non-biological Children. Developmental Psychobiology, 52, 100-107. Dozier, M., Lindhiem, O., Lewis, E., Bick, J., Bernard, K., & Peloso, M. (2009). Effects of a foster parent training program on young children’s attachment behaviors: Preliminary evidence from a randomized clinical trial. Child and Adolescent Social Work Journal, 26, 321-332. Dozier, M., & Bick, J. (2007). Changing caregivers: Coping with early adversity. Psychiatric Annals, 37, 411-415.